An unusual wooden artist pencil case. Individual slots for nine pens or pencils – the tips being protected by a foam base plus a removable box for erasers, pencil sharpeners and other accessories. 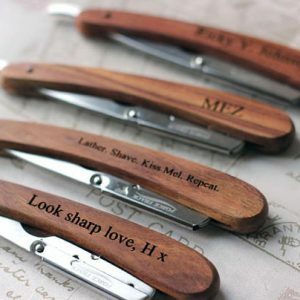 Personalised FrontEnter details below, including links to images you may want engraved. 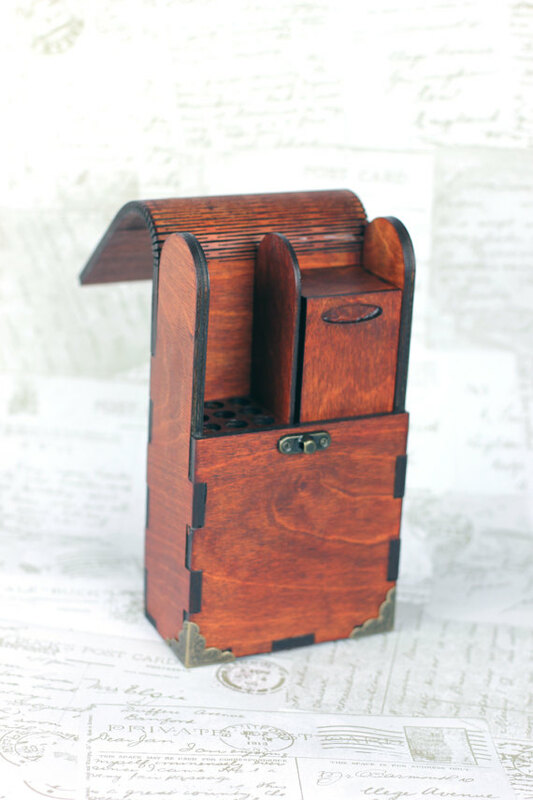 A striking and unusual wooden artist pencil case. Individual slots for nine pens or pencils – the tips being protected by a foam base. 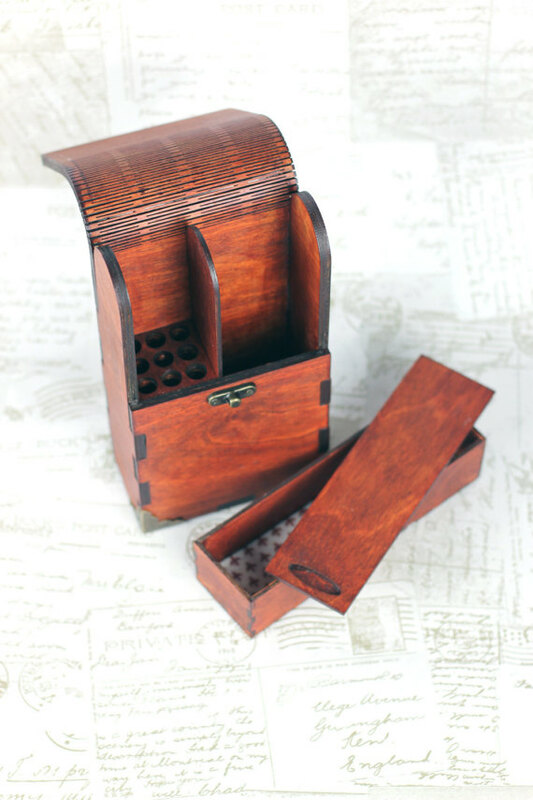 There is also a removable box for erasers, pencil sharpeners and other accessories. The corners have a steampunk feel. 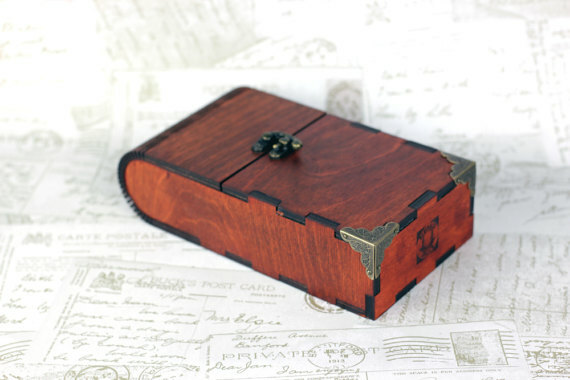 The front of the box is plain, but can be customised with any design you like. If you’d like your name added, or a design that represents you then please select customisation options. 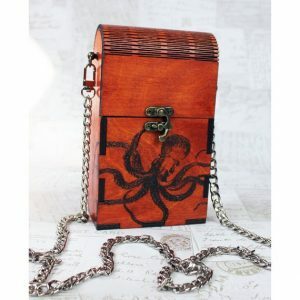 The bag is laser cut from plywood and varnished with a mahogany stain. 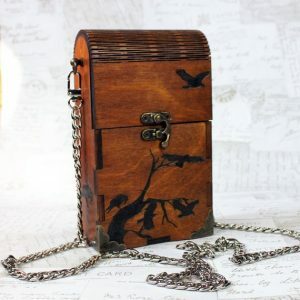 The top flap is laser cut to create a ‘living hinge’ out of the wood which then fastens with a clasp to keep your belongings secure. 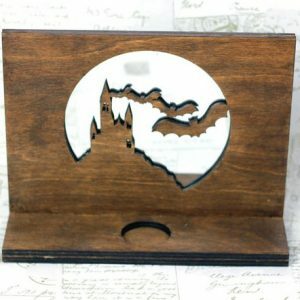 The case is 5cm deep, 19cm tall and 11cm wide. The original design of the bag is from an Obrary creative commons license, I have substantially modified the dimensions and design.